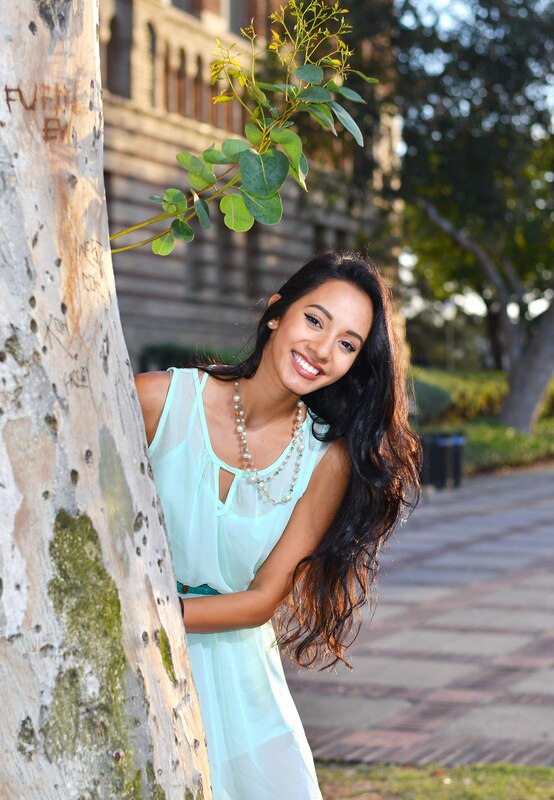 Across the table sat Freesia Quezada, a soon-to-be neuroscience graduate from UCLA’s class of 2014. However, the most striking thing about her was not her success with her challenging major. Rather, it was the lasting impression she had made on UCLA’s campus in just the four short years she had been a Bruin. The list of her involvements and extra curricular activities seemed to go on and on. This alto saxophone musician had played for the Marching Band from the beginning of her Bruin career to the very end. “In addition to promoting school spirit at all performances, Marching Band has given me an opportunity to give back to the organization that has already given me so much,” Quezada explained. Bright-eyed and with nothing but smiles, this young woman that had been nicknamed “Mama Alto” gleamed with pride when discussing her longest-lasting involvement on campus. Through Marching Band, Quezada was even invited to open for the Rolling Stones, for their 50th Anniversary Tour at the Staples Center. Of course, Marching Band wasn’t the only zone on which Quezada left her mark. Interestingly enough, this Latina-Filipina found her way into a Pakistani Culture Dance group. “I’ve always been fascinated by the Southeast Asian culture. The bangles, the colors, the costumes,” Quezada said in awe. She confessed, “I was a little nervous at first because I didn’t know how they would welcome me as someone who identified with a different culture… But they were all so nice and accepting of me.” Finding the perfect way to express her interest in a culture so different from her own, she expressed gratitude for being able to join the dance group as late in her UCLA career as she did. She was nothing but thankful for this experience as it showed her a world different from her own. Quezada’s influence wasn’t limited to just UCLA’s campus. Her community service efforts came out in her involvement as a certified nurse assistant at an Alzheimer’s and Dementia clinic in San Gabriel. “I was 15 years old, and I wanted to get more involved in the community one summer,” Quezada explained of how she became a volunteer at the clinic. Her passion for the community didn’t stop there either. As a part of an organization at UCLA that teaches life science topics to high school students in the Los Angeles area, Quezada said, “CityLab has given me the opportunity to express myself scientifically and theatrically–together!” In addition to her service to patients and high school students, the Tournament of Roses Parade benefitted from Quezada’s volunteer efforts for the past six years. “Each year, I volunteer over 90 hours participating in the planning of the parade by organizing the large, thousand-dollar flower orders, decorating floats, running float fire tests, and hosting tours of the floats to tourists during the week of New Year’s,” Quezada said. Involved in a variety of extracurriculars while at UCLA, Quezada developed a deep connection to the university, and said, “I quickly learned how to cope with the academic stress through art, music, community involvement, and through the company of the lifelong friends I had been making in all of the UCLA organizations I participated in.” When asked how those outlets translated academically, she recalled that her high school didn’t really prepare her for the biochemistry tract that she had started with at UCLA. “Because of that, it really pushed me to want to be that mentor for others that I didn’t really have in high school,” Quezada admitted. It was with this mindset that she approached UCLA in a different light, from a strictly academic perspective. When asked how she managed to partake in all of these diverse and time-consuming involvements, Quezada confessed, “It was definitely hard since all lot of those things overlapped, so it got overwhelming at times. But it really pushed me to delegate my responsibilities. And I also learned that asking for help is not a bad thing.” Not afraid to challenge herself, Quezada was grounded enough to realize that she didn’t have to do everything on her own. 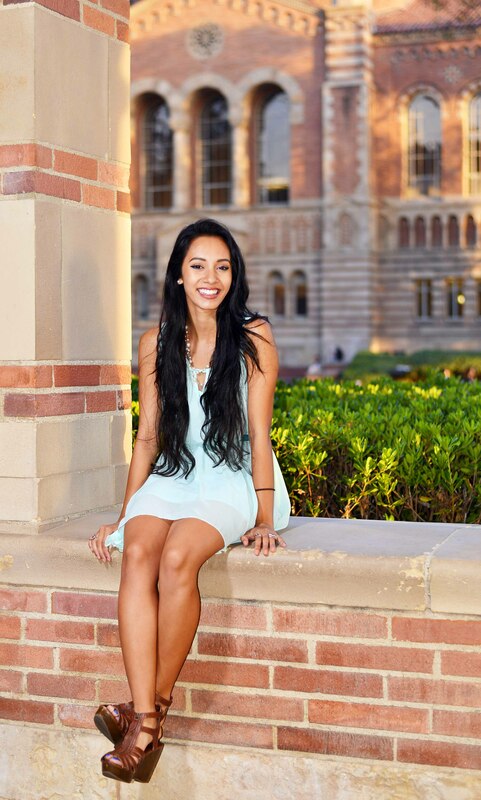 Although all of her involvements and accomplishments at UCLA had been nothing short of amazing and certainly one of a kind, the most striking thing about Freesia Quezada was her outlook on college and life. “There’s so much more to college than just academics. Even though it’s important, I wanted my experience to be more than just books. I wanted to really explore and get out there,” Quezada exclaimed. Plainly evident to everyone she met, her vigor and excitement for what was yet to come was both refreshing and inspiring. 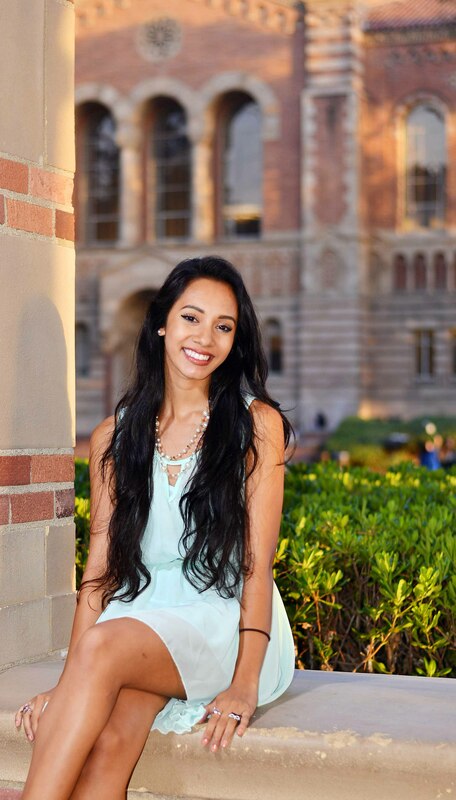 Despite the fact that she was a graduating senior and had seen her fair share of UCLA, she beamed with nothing but optimism and positivity, as if she were an incoming freshman, ready to take on the world. With a future as bright as her smile, there was no doubt that Quezada would enter the “real world” by hitting the ground running.